After a bout with the flu kept Michael Thompson off the course for the last couple of weeks, he will be happy to get back on the course tomorrow at the RSM Classic. The RSM Classic is held right in Michael's backyard in Sea Island, Georgia. 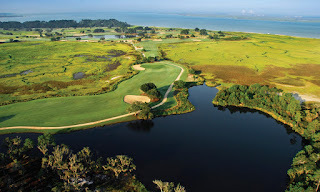 The tournament will utilize both the Plantation Course and the Seaside Course at the Sea Island Resort. Michael is grouped with Scott Brown and Tom Hoge. They will tee off tomorrow at 9:40am ET from the first hole of the Plantation Course. Michael withdrew from today's tournament due to an illness. After a short break, Michael Thompson gets back into action tomorrow at the Sanderson Farms Championship in Jackson, Mississippi. This tournament is being played opposite of the WGC-HSBC Champions event in China. Michael tees off at 8:02am CDT with Billy Hurley and Parker McLachlin. Michael Thompson's second round at the Safeway Open was nearly flawless. He shot a seven under par 65 playing all 18 holes without a bogey. He is now tied for second heading into the weekend. After his round, Michael did a live interview with the Golf Channel. If you didn't catch it on TV earlier today you can watch it below. Michael will be in the second to last group in tomorrow's third round. He and playing partners Kevin Tway and Sepp Straka tee off from the first hole at 12:20pm PDT. 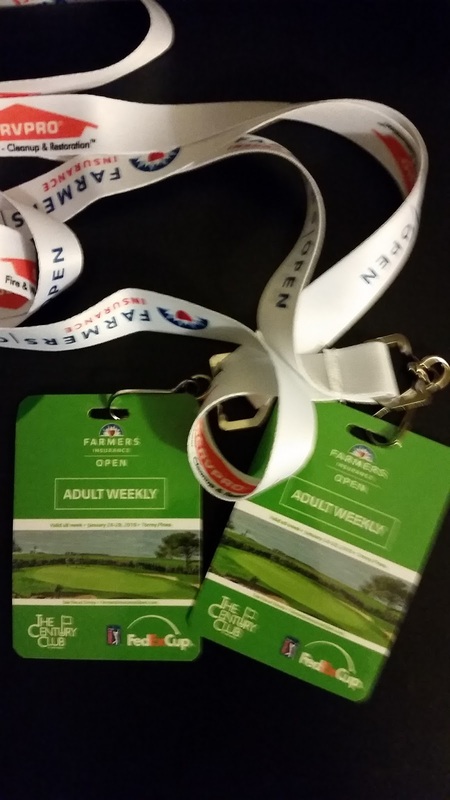 After a "lengthy" one week break, the new PGA Tour season starts tomorrow at the Safeway Open. Michael Thompson will be competing in the Napa Valley tournament. Hope you all enjoyed your off-season! Michael gets to start early in the first round when he tees off from the first hole at 7:20am PDT with James Hahn and Sung Kang. They are the second group off the tee. Scattered showers are in tomorrow's forecast. 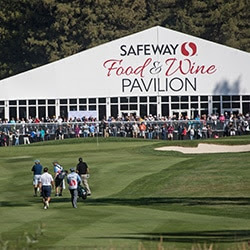 The Safeway Open is the first of eight events before the reshuffle list gets re-ordered. Michael still has a chance to improve his status beyond the reshuffle category. Due to his neck injury in June, he has a minor medical extension of two events. If he can earn 97 FedexCup points in his first two events this year then his priority will increase ahead of the reshuffle category. 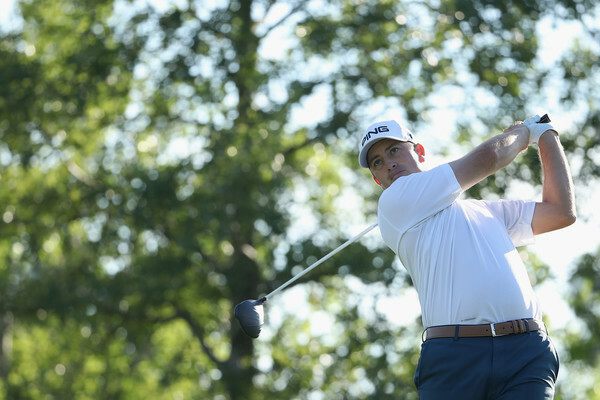 Michael Thompson secured his 2018/2019 PGA Tour Card after finishing tied for 21st at the Web.com Championship. He didn't have a particularly strong Sunday round where he shot even par (71) but it was good enough to finish 23rd on the Finals money list and improve his status on tour next year from conditional to fully exempt. Michael will be subject to the reshuffle list for the upcoming year and is currently 44th on the list but his ranking won't really matter until after the first reshuffle on November 18th which happens at the conclusion of the RSM Classic. Michael's Web.com Tour Finals record is remarkable having now secured a PGA Tour card in all three Finals he has competed in. 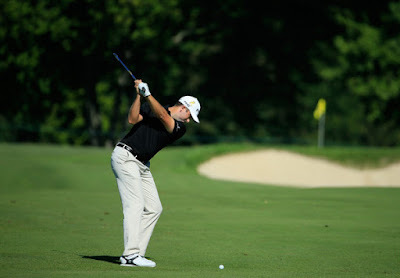 Michael Thompson took full advantage of moving day at the Web.com Tour Championship. Despite making his first bogey of the tournament, he played aggressively and made eight birdies carding a seven under par 64. He also moved up the leaderboard 14 spots into a tied for sixth place just three shots off the lead. Michael continued his torrid pace of reaching greens in regulation. He has now reached 50 out of 54 greens in regulation which leads the tournament. He picked a good point to be playing his best golf all year and he'll look to finish his year off strong in tomorrow's final round. He is grouped with Ben Silverman and Roberto Díaz. They tee off from the first hole at 10:58 EDT. You'll be able to follow the tournament live on the Golf channel at 1:30 - 4:00PM EDT. At this week's Web.com Tour Finals, Michael Thompson did something I can't remember him doing before. He completed the first two rounds without a blemish on his scorecard. Not a bogey. Not a double bogey. Not an "other". He completed the first two rounds with eight birdies and 28 pars. That's good enough to have him tied for 20th heading into the weekend. Michael has hit 34 of 36 greens in regulation which is tied for second in GIR. He'll look to build on that momentum in tomorrow's third round. He is grouped with Ben Kohles and David Skinns. They tee off from the first hole at 10:06am EDT. This week mark the fourth and final event in the Web.com Tour Finals series. Michael Thompson enters the event in 18th place on the money list thanks to his sixth place finish in last week's Boise Open. The top 25 money earners combined from all four events will earn PGA Tour cards for the 2018/209 season. Michael will be grouped with Jim Knous and Nicholas Lindheim (#17 and #19 on the Finals money list) for the first two rounds. They will tee off on Thursday from the first tee at 7:25am EDT. They are the first group of the day. After each of the first three rounds of the Albertsons Boise Open presented by Kraft Nabisco, Michael Thompson has been either just inside or just outside the top 10 of the leaderboard. He is currently tied for 11th at ten under par for the tournament and four shots off the lead. Michael is actually tied for third in number of birdies for the tournament but has carded at least two bogeys or a double bogey in each of the first three rounds. He will look to clean up the mistakes and post a strong finish in Sunday's final round when he will be paired with David Hearn. They tee off at 11:50am PDT. Michael Thompson will compete in the third event of the Web.com Tour Finals this week. 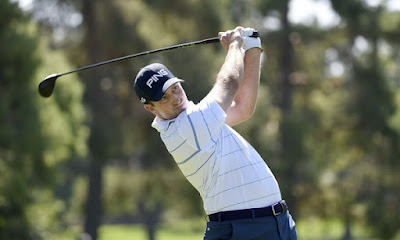 The Albertsons Boise Open presented by Kraft Nabisco gets underway on Thursday in Boise, Idaho. Michael missed the cut in the first two events so he'll look to turn his finals around in an event that he's won before. 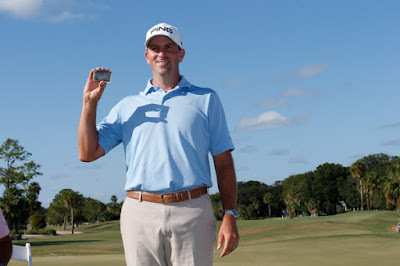 Back in 2016, Michael won this event and secured his 2016/2017 PGA Tour card. 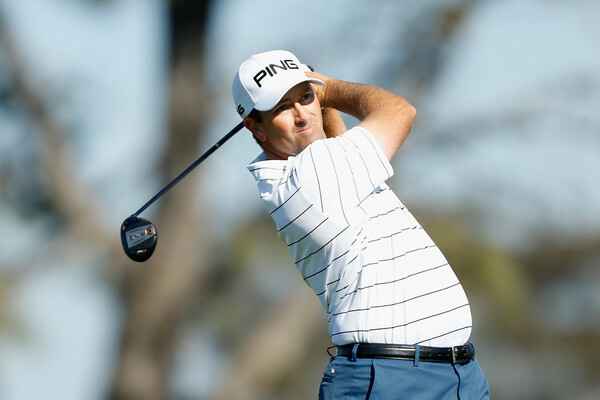 For the first two rounds, Michael will be grouped with fellow PGA Tour players Johnson Wagner and Blayne Barber. They tee off from the first hole at 8:28PDT. 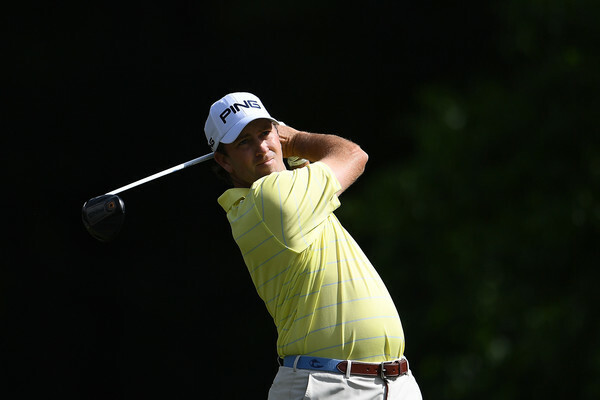 Michael Thompson finished last week's Wyndham Championship in a tie for 11th. 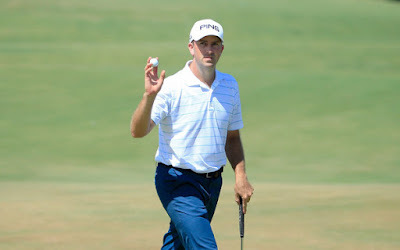 It was his best finish of the year and moved him up to 142nd in the Fedexcup points list but that wasn't enough to earn a spot in this week's PGA Tour playoffs which is reserved for the top 125 spots. Finishing inside the the 150 spots was good enough to earn conditional PGA Tour status for next year which would typically provide access to 12 to 15 tournaments next year. In an effort to earn better priority status for next year, Michael will compete in the Web.com Tour Finals. The Finals is a four event competition and the top 25 money earners in the four event series will earn full cards for next year. Tomorrow marks the start of the Finals as the Nationwide Children's Hospital Championship gets underway in Columbus, Ohio. 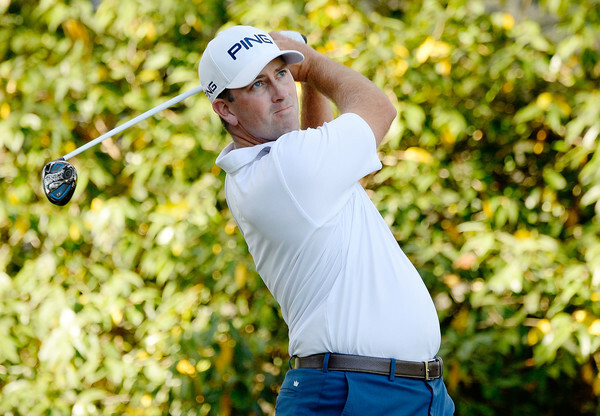 Michael will be grouped with fellow PGA Tour alums David Lingmerth and Josh Teater. They tee off at 7:31am EDT. Michael Thompson Saturday's moving day day at the Wyndham Championship was arguably his best round of the season. He shot a bogey free 63 (seven under par) and climbed the leaderboard all the way up into a tie for second at the point he finished his round. He went 18 for 18 in greens in regulation and his putter heated up converting five birdie chances including a 53 footer on the first hole. He also holed out for eagle from the bunker on the par five 15th hole (see video above). He is currently tied for seventh with a chunk of the field still needing to complete their third rounds. 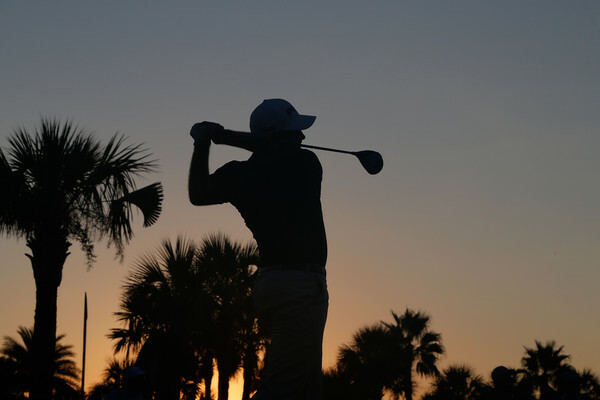 Once the third round completes tomorrow the final round will get under way at 11:15am EDT. Michael will be teeing off closer to 1:15pm EDT although we won't know for sure on his exact tee time until tomorrow morning. Michael needs a good finish to move up the Fedexcup points list. He is currently 158th and a 3rd place finish or better would allow him to climb inside the top 125. Even if that doesn't happen he was the Web.com Tour Finals coming up which allow him a path to earn a tour card for next year. “Ultimately top 125 is where I'd love to be, a win would be unbelievable,” Michael said. “But for me, really the most attainable goal right now is inside the top 150. If I get in there then I have status for next year at least for a few events. I found a feel on the range yesterday with my irons that allows me to freely release the club through the ball. I just went out and trusted it and knew that I had to hit it close and I had to give myself as many chances for birdie as, as possible. And thankfully today the putter was a little bit more fine-tuned than it has been. Michael Thompson shot a +10 at the Barracuda Championship today...and that's good! The Barracuda uses a modified Stableford scoring system and +10 put Michael in a tie for 10th after the first round. His round was highlighted by an eagle on the par 5 18th hole where he holed out from 60 feet just short of the green. This scoring system rewards aggression where birdies and eagles are weighted more positively than bogeys and double bogeys are weighted negatively. With Montreux playing at anywhere from 5,000 to 6,000 feet, Michael noted the elevation change and wind made for some interesting club selections on Thursday. "It sometimes feels like we're taking forever to figure out our number. You just have to be patient and crunch the numbers. We started with 5 percent for elevation at the beginning of the round and moved it to 10 percent. Then you factor in the wind. We try and keep it simple, but there's definitely some additional math involved." Michael is playing with DJ Trahan and Steve Wheatcroft for the first couple of rounds and they begin round two on Friday at 12:11pm PDT. 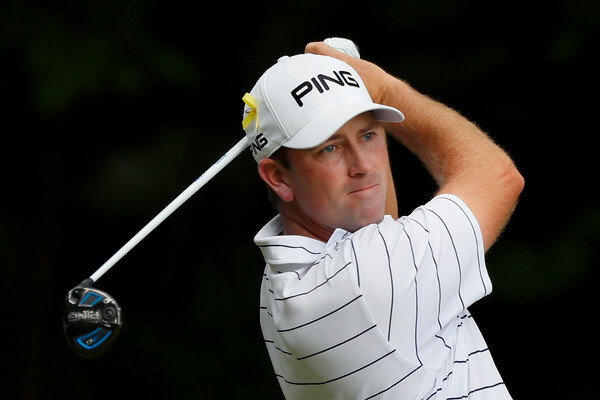 Michael will be playing at the John Deere Classic which starts Thursday. 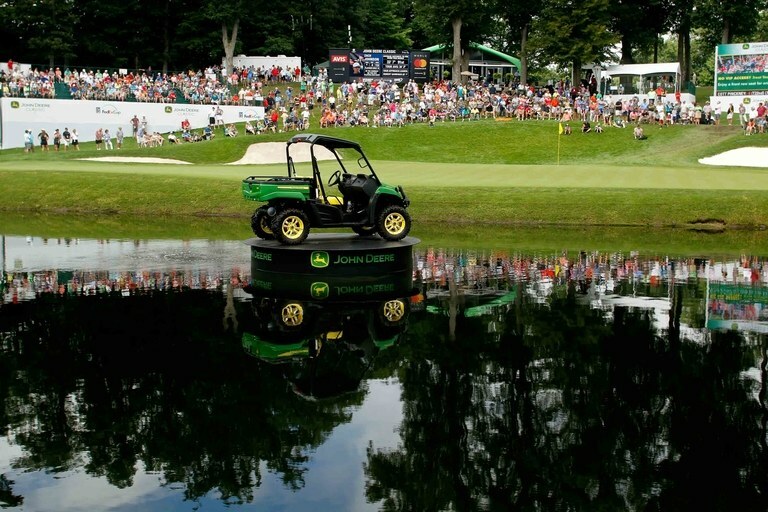 The tournament is played at TPC Deere Run in Illinois and the weather is expected to be nice with highs in the 90's. He will be grouped with Brian Davis and Derek Fathauer for the first two rounds. They will tee off from the tenth hole at 12:20pm CDT. Michael Thompson and 116 other US Open hopefuls will go through the US Open Sectional Qualifying stage tomorrow in Memphis, Tennessee. The stage will consist of 36 holes played on two courses over a single day. This year's qualifying will be played at the Ridgeway Country Club and at the Colonial Country Club (South Course). There are 11 spots up for grabs. Michael will be playing with fellow professional Jonathan Byrd and amateur Davis Riley. They will start at the Colonial Country Club South Course and will tee off from the tenth hole at 8:39am CDT. As of now (9:30 PDT), Michael's name disappeared from the scoring link. There are still 117 golfers listed so I'm not sure if he withdrew and someone replaced him in the field or if there is an error on the website. Update: (10:05 PDT): Michael withdrew from the qualifier due to a neck injury. He's hoping to get right before this week's Fedex St. Jude Classic (per Jonathon Wall on Twitter). The PLAYERS Championship starts tomorrow and Michael Thompson will be competing in the unofficial fifth major. The PLAYERS takes place at TPC Sawgrass which is probably best known for the island green seventeenth hole. 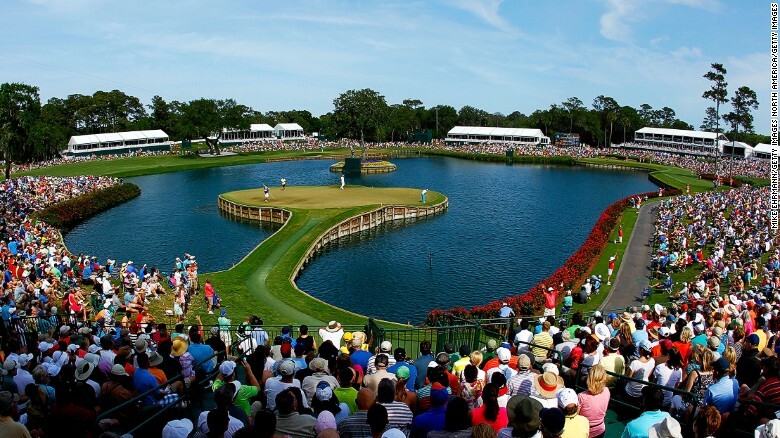 TPC Sawgrass provides a stern test for the deepest field of the year to date. Michael tees off late tomorrow as he and playing partners Patrick Rodgers and Brandon Harkins don't get started from the tenth hole until 2:36pm ET. They are the last group off the tee. Michael Thompson had himself one heck of a round at the Houston Open today. He shot a five under par 67 and is currently tied for 10th.. Michael was bogey free for the day and made five birdies. He also hit 17 of 18 greens in regulation. His lone missed green was actually just on the fringe of the green. Michael's second round will get under way at 1:40pm CDT with playing partners Keegan Bradley and Sean O'Hair. It's been over a month since Michael Thompson has played in a PGA Tour event but starting tomorrow Michael will be in action at the Houston Open. He tees off at 8:50am local Houston time with playing partners Keegan Bradley and Sean O'Hair. 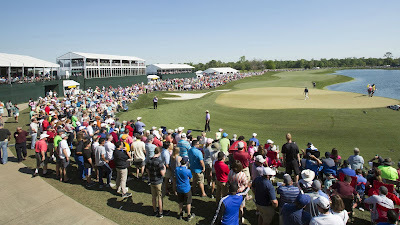 The Houston Open has historically been the final tune-up before the Masters and as such, the course and the greens in particular are setup very similar to Augusta. The Houston Open's long time slot on tour may be coming to an end next year as the tournament has failed to find a long term title sponsor and the Valero Texas Open will most likely be taking this slot in the schedule next year.